My Makeup Storage and another Competition! 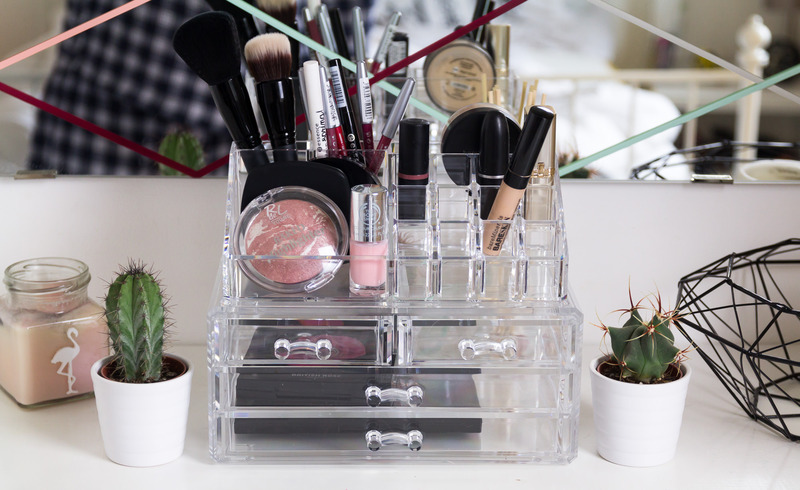 Throughout my time as a beauty blogger the aspect I have found hardest is my makeup storage. It can be really hard finding storage solutions that keep your products safe, undamaged, organised, quick to put away and easy to locate. 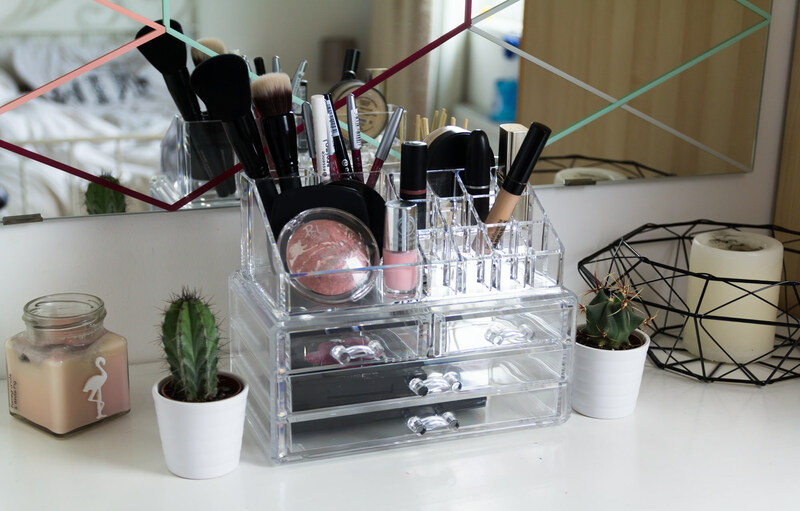 I like to have the makeup that I use everyday out and easy to find so this last week I have been using these acrylic boxes on my desk as my makeup storage. The acrylic is a very high quality, the plastic is very strong and shiny, it almost looks like glass! I love that these makeup storage boxes can either be used side by side or can be stacked on top of each other if you are short on space. They fit perfectly together if put one on top of the other so it is very sturdy and secure. 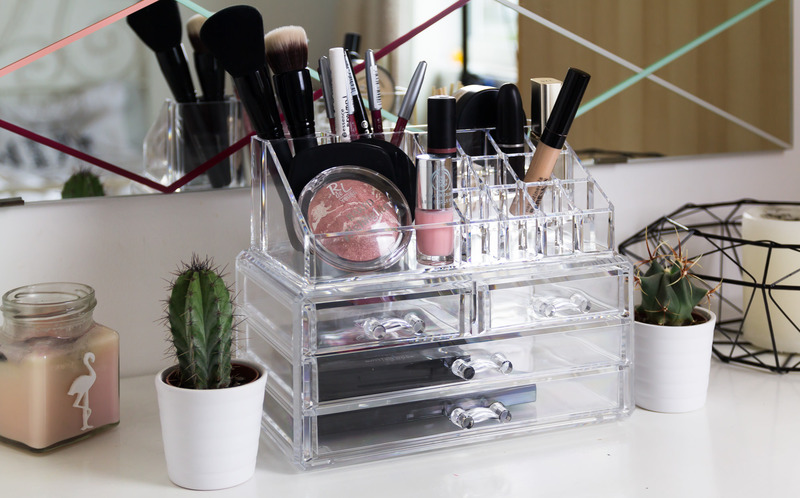 I have purchased other acrylic make up boxes for my makeup storage in the past, and written about it here but they looked far cheaper than this one. I have had a hunt on eBay and I believe this is the cheapest of the same design. However, if you are interested in getting the same boxes as my makeup storage, you may not need to purchase them if you enter and win my competition! The giveaway is for the same stackable storage solution that I received and todays prize is given today from Bedroom Storage so a big thank you to them! To enter the giveaway and have a chance to win my lovely readers/viewers can enter through my rafflecopter competition below. Winners will be selected at random on Sunday 15th May 2016 so you have two weeks to enter, good luck! Good luck entering, have an awesome bank holiday weekend and don’t miss out on my last post, Inglot – My Polish Palette!